Shop Hop has officially begun! I admire the dedication of the Shop Hoppers at the door at 9am, ready to go. The weather’s looking pretty good for a road trip too. It was even warm enough to have lunch outside here in Preston, ID. Hooray for Spring! Let’s face it, Shop Hop is all about the prizes. Well this year your chances of winning are better than ever. In addition to the Grand prize and 1st prize drawings, we’ll also be drawing for 35 prize baskets to go to Shop Hoppers who visited at least 10 of the 12 shops. 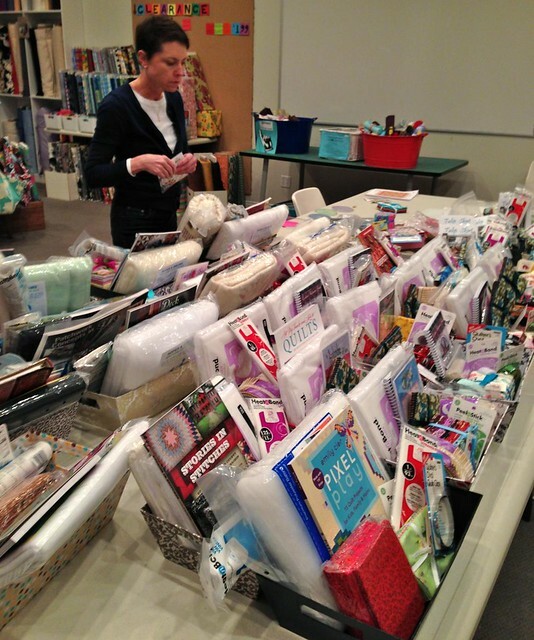 These baskets are full of fabric, books, batting, notions, patterns, and all sorts of awesome stuff. Here’s Kathy at Suppose making sure every basket has enough goodies. The shelves at Suppose are now lined with prize baskets. 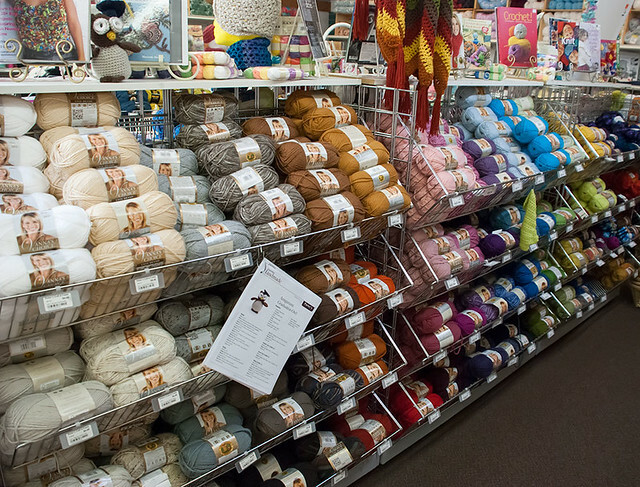 This is just one corner, but they go all around the entire shop! The prize drawings are held Monday, May 13 and all winners will be notified by the shop at which they choose to pick up their prizes. Visit the prizes page for more details. One of the best parts of Shop Hop is getting a free, original pattern at each shop. 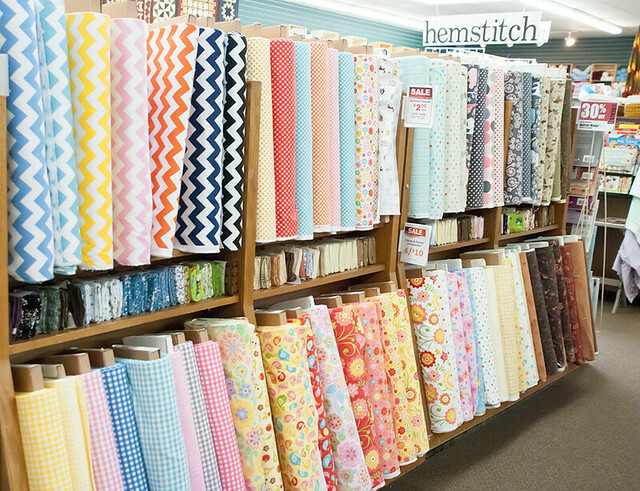 These patterns show the ranges in styles of our shops, and each incorporates the shop’s theme. 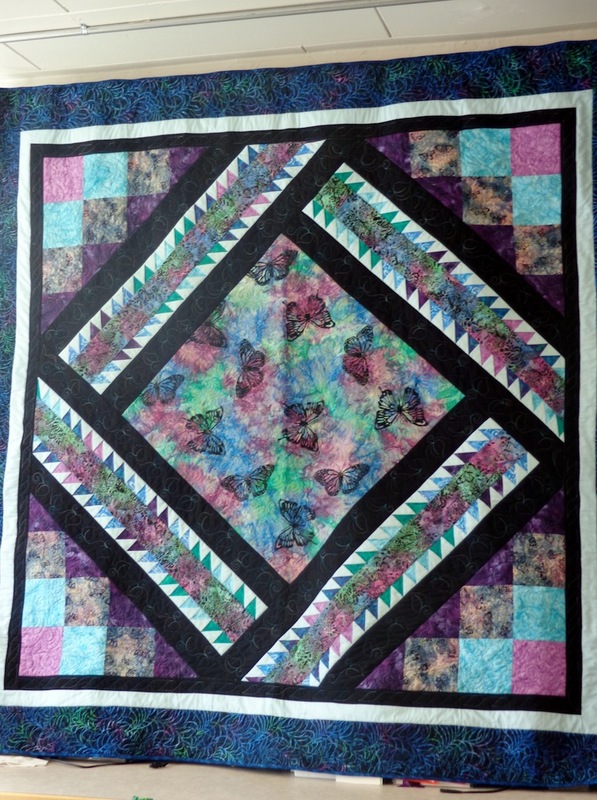 This year those themes are all something that might be found in a garden, as in “Gardens On The Trail.” Here’s a little preview of the quilt you’ll see on display at Heritage Quilts & Fabric Shoppe, and the pattern they’ll be giving out. You can probably guess what their theme is! Don’t you love that sawtooth border! 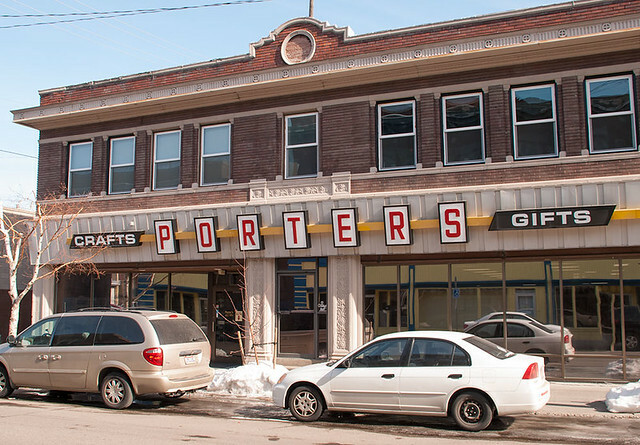 The Porter’s family has kept the store running through the years, by adding to the store and changing with the changing society. Chuck and Linda Porter now own and operate Porter’s Craft & Frame in Idaho Falls and Rexburg Idaho. 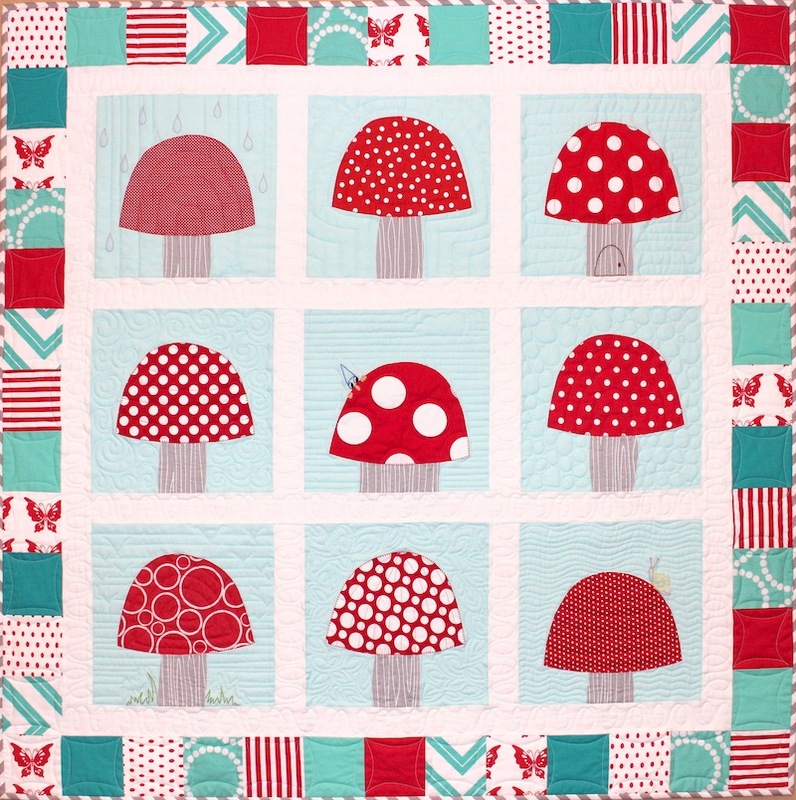 Here at Porter’s we provide custom framing as well as a wide and varied selection of quilting fabrics. 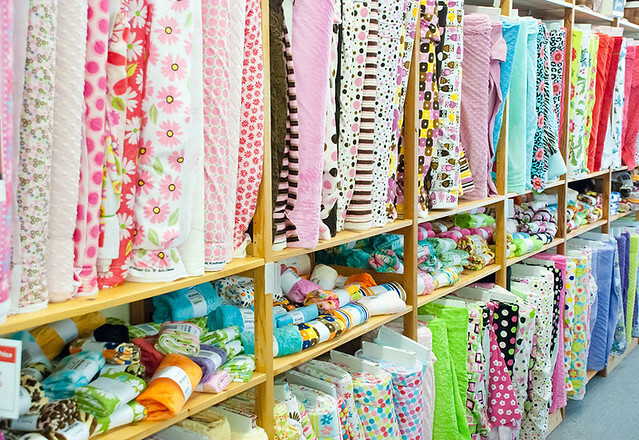 Here at Porter’s we have a large selection of fabrics including: cotton, flannel, linen, polyester, and minkee fabric. 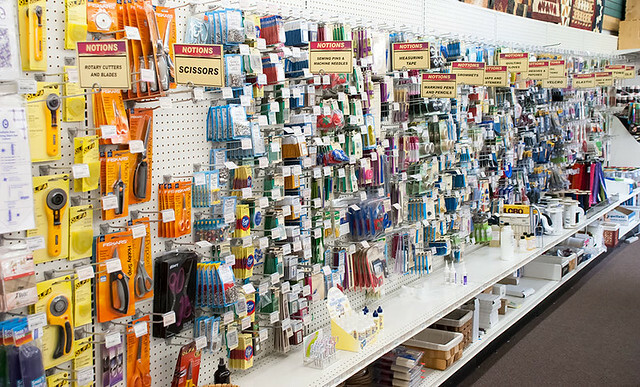 We provide sewing and other craft workshops in our store on a regular basis because we want to help our customers create things they can be proud of. We also offer project sheets with step by step instructions to help customers create their own quilting and fabric projects. At Porter’s, our staff are trained and ready to provide genuine care, convenience, and comfort to all of our customers so that they can have a wonderful in-store experience.